Does it seem like every time you go to the nursery there's a new and unfamiliar plant you'd like to learn about? The horticultural world can feel a little overwhelming at times, but you can reduce your plant-purchasing stress by relying on the Master Gardeners, who have created a Plant Selection Guide specifically for Marin County gardeners. This resource takes the mystery out of plant shopping and provides tips on everything from selecting plants that are drought tolerant to those that are deer resistant. 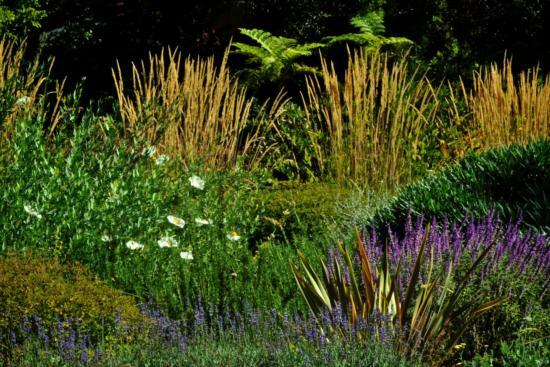 This Plant Selection Guide provides an accessible and simple method to help homeowners select water-wise (low water use) plants for their Marin County landscapes. Marin County enjoys a Mediterranean climate characterized by wet winters and long dry summer seasons with little if any rainfall. Plants suited or adapted to local conditions not only use less water, but generally grow more successfully and robustly with fewer insect and disease problems. They ultimately create a healthier, more beautiful and more sustainable landscape. Some of the plants in this guide are native to California while others are native to Mediterranean climates around the world. All are growing successfully in Marin Master Gardeners' gardens and flourish here in Marin County. This project is jointly sponsored by Marin Municipal Water District, UC Marin Master Gardeners, and StopWaste.org's Bay-Friendly Landscaping.